The devastating price of government dependency. I witnessed it up close and personal in the late 50's when I was a child. Both of my mom's sisters had five kids each by various men who simply deposited their seed and moved on. As a result, both of my aunts were totally dependent on government. They lived in the projects. Still, it was a treat whenever I was permitted to sleep over at my cousins' home in the projects in the exciting city. The atmosphere at my welfare dependent cousins' home was strikingly different from mine — a subtle sadness which made me feel a little sorry for them. I felt they envied me and my siblings for having a dad who actually lived with us. I remember seeing large cans and boxes of generic labeled foods, peanut butter, powdered milk, meat, and cheese. As a child, I felt food was weirdly important to them. My siblings and I could go into our fridge anytime we desired. My cousins' fridge was off limits without permission. Despite lots of extremely loud talking and laughter in their homes, both my aunts appeared chronically angry and bitter, with short, explosive tempers. A threat of violence constantly loomed over life in the government projects inside and outside of the home. If you add up the financial value of what my welfare cousins received for "free" from the government (housing, food, and health care) their annual income probably far surpassed that of my dad. And yet, I considered my cousins to be poor. They perceived themselves to be poor as well. Of my ten welfare-dependent cousins, only one remarkably "made it." He worked his way through college and became very successful. The other nine never ventured off of the government plantation — seduced by the false promise of security. Consequently, they succumbed to alcohol and drug abuse and out-of-wedlock births. Four of my cousins' lifestyles caused them to suffer early deaths. Clearly, my two aunts' choice, or perceived lack of any other option but to totally rely on government for their survival, came at a devastatingly high price: the self-image and spirit of themselves and their children. This tragic scenario sponsored mostly by Democrats has been playing out in the black community for at least 50 years. Why would the Democrats desire to do this, you ask? In a nutshell, it is all about them. The more Americans are dependent on government, the more Democrats are empowered. Also, the Democratic Party enthusiastically embraces all who hate America. Pure and simple. The Democrats, supported by the liberal media, are well on their way to transforming America into a giant government-controlled plantation of dependent, lifelong, indentured servants. For example, under Obama a record number of Americans receive food stamps. Another Democrat tactic to increase the number of Americans dependent on government and voting Democrat is to keep extending unemployment benefits — now up to 92 weeks, almost two years. What incentive is there for the unemployed to aggressively pursue a job when they know they can sit on their butts and receive a check for two years? Rather than Obama reducing ridiculous costly regulations on small business, which would create jobs, Democrats and their media partners are pressuring the Republicans to join them in further extending unemployment benefits. Beginning in public school through college, liberals have indoctrinated our children, teaching them America is unjust, capitalism is evil, they are entitled to the fruit of other peoples' labors, and only government can make things fair and right. Liberal indoctrination birthed the Occupy movement — losers hating achievers and demanding their "fair share." But here is my point. There is a scary question on the minds of decent Americans. The question is, have we reached "the tipping point" — the point where teachers and professors have stolen the minds of too many of our youths; the point where Democrats have made so many Americans dependent upon some form of government handout that a majority of Americans surrender their freedom, liberty, and our culture to big government. Nothing in life is free. While my cousins received free cradle-to-grave government handouts, they paid a devastating price for their dependency. They lost themselves, their self-esteem, pride, and dignity. They lost the joy of success after failure. They lost the pursuit of their dreams. They lost the experience of developing their God given-gifts and talents. For perceived security, my cousins willingly remained slaves on the Democrats' government plantation. 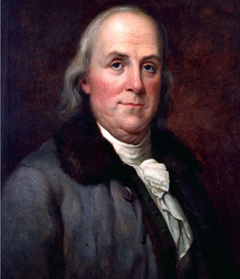 Due to the lack of American history taught in our public schools, I would not be surprised if a student asked, "Ben Franklin, ain't he the guy who dated J-Lo?" Today, it is no longer embarrassing to depend on welfare for survival. Many feel justified demanding government rob the rich to redistribute to them in the name of fairness and compassion. These suckers are clueless to the truth that the confiscated funds go to public sector unions which recycle the funds back to the Democratic Party via union dues. But here is the rub. You government-dependency junkies do not get of Scott-free. Remember, nothing in life is free. You ultimately pay a devastating price for your class envy, laziness, hate, and fear. In the process, you lose yourself.